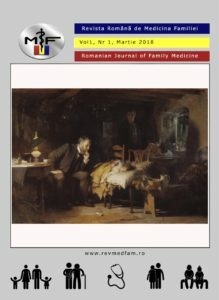 In 2018 a new journal is founded directed to family medicine, called the Romanian Journal of Family Medicine. Family medicine is the cornerstone of modern health care systems. Therefore up-to-date information on research and innovations, related to family medicine, is essential for continuous quality of care and the health status of citizens. 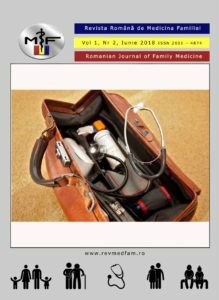 The Romanian Journal of Family Medicine reports on new developments in family medicine, scientifically and practically, and offers an (continuous) education platform for the community of family doctors and general practitioners in Romania. The new journal appears online, quarterly, plus supplements, in Romanian language with summaries in English. Also, full English manuscripts are welcome, because family medicine is a real international issue. We invite family doctors, researchers and policy makers to report on research and innovative projects in family medicine and primary care. Also, we want to stimulate the quality in family medicine by publishing discussions and debates relevant to the development of family medicine. Family medicine is a medical specialty that – as all evidence based sciences – develops constantly and needs to adapt to changes in morbidity and mortality and their determinants. Currently, family medicine forms the cornerstone of most modern health care systems. 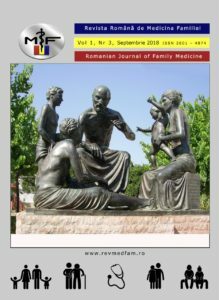 The Romanian Journal of Family Medicine appears online, quarterly, plus supplements.